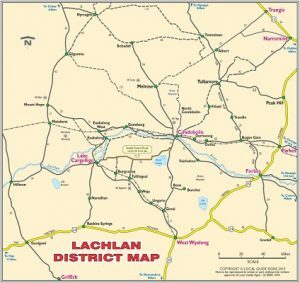 In December 2016, we commenced servicing domestic waste bins in the Lachlan Shire, encompassing Condobolin, Lake Cargelligo and surrounding towns. A new recycling service is being introduced April 3rd 2017. Prior to that date we will be providing residents with new bins as part of the new waste and recycling services being put in place. JR Richards will be servicing approximately 2,500 bins weekly for General Waste and fortnightly service for Recycling. 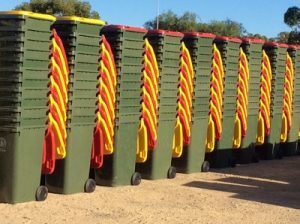 Residents of Condobolin will also receive fortnightly service to Organic waste, on alternate weeks to their Recycling collection service. When the new services begin, there will be changes to collection days for residents in Condobolin and Lake Cargelligo. Lake Cargelligo services will now be split across Thursday and Friday. Tottenham, Albert, Fifield, Derriwong and Tullibigeal collection days will all remain the same, however pick up times may vary. JR Richards & Sons’ support local communities by utilising local businesses. With the help of Harvey from Progress Printing, residents will receive an information package with new service information. Our existing driver Peter is from Condobolin and has been instrumental in keeping services on track, and our new driver Bruce is also a local. With a local depot, we are utilising local fuel stations, mechanics and auto electricians for repairs and servicing. We will also be introducing commercial services for Condobolin and Lake Cargelligo. 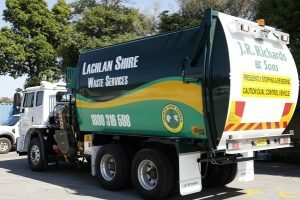 New services and changes will lead to questions, so please contact our helpful staff at Lachlan Waste Services on 1800 316 598. Copyright © 2014-2019 JR Richards & Sons.